All Sons & Daughters’ fourth full-length album, Poets & Saints, was produced by Chad Copelin (Crowder, Gungor) and mixed by Shane Wilson (Brandon Heath, Vertical Church Band) and Sean Moffitt (Newsboys, Jordan Feliz). Alongside the album is Jamie George’s book, Poets and Saints: Eternal Insight, Extravagant Love, Ordinary People, and the video-based curriculum and study guide, Poets & Saints: A Community Experience, which George and All Sons & Daughters members David Leonard and Leslie Jordan collaborated on to create. Together these resources form an interactive worship experience that introduce 10 important influencers in Christendom, while making a very human connection between their lives and the lives of Christians today. 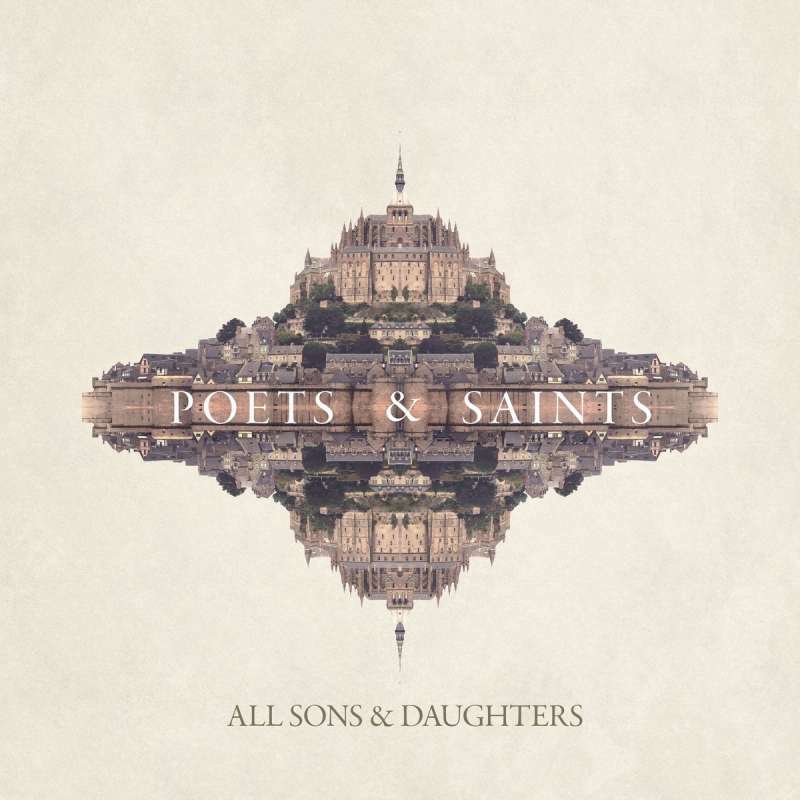 This is All Sons & Daughters fourth studio album with their last album receiving popular and critical acclaim within the industry. 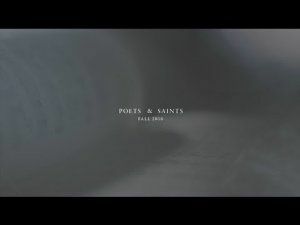 The inspiration for "Poets and Saints" came from the idea of investigating Christians that God has used to influence culture and community to give us a great legacy. Initially the duo thought of the two groups, poets - those who can write and inspire the heart and soul and saints, those people who have been acknowledged as an example of living a Christian lifestyle from different traditions. When discussing this with Jamie George their Pastor, he confirmed that he had been considering Church History for a teaching series. Within weeks the group were in Europe with a camera crew investigating these two groups of Church influencers and from this has come a resource for churches which builds on this albums themes, these include a book and a DVD teaching series. So inspirations for tracks on this album come from people like St Francis, St Augustine, St Therese and other figures like William Cowper, C.S. Lewis and John Newton . Of course the words of some of these people are very familiar to many within the Church and so with some of these tracks borrow phrases or even whole verses to help us connect what these figures knew to our lives today. The first couple of tracks are certainly all about connecting to these roots. "Heaven Meets Earth" the opening track had me looking for the volume button a few times because there is a slow-build sound that lasts a few seconds, but on a lower volume it is enough that you have to check if you have even pressed play! This track creates a brilliant and beautiful ambient atmosphere, which builds into a brilliant background of "Holy" being echoed by vocals in an ethereal style before cutting back and introducing a vocal duet of the first verse of the hymn "Holy, Holy, Holy" by Richard Heber. "I Surrender" looks at surrendering ourselves to God, because this world is nothing compared to the vastness of God. The idea is one that is familiar from many hymns and Christian songs and in this case inspired by the teachings of Saint Francis. There is a brilliant tone on "Path of Sorrow" which really lifts this particular track and actually this is probably my favourite on this album. It's a slow one but really emphasises the simple vocals, musically it's quite stripped back although it builds a little towards the end. This song is inspired by the life of William Cowper and this song should speak to those who suffer with issues of acceptance and loneliness. It is appropriate that this track is followed by "My Roving Heart" inspired by John Newton as these two worked together in their hymn writing! Both of these tracks are beautifully performed. So there is a lot of inspiration throughout this album and they have tried to bring this to light through the tracks. When you start to jump back a generation or two there is the chance that you stumble upon something more than a history lesson. You see they way that these poets and saints communicated the truths and the depths of the songs that were written, something often lost in our modern worship which has taken the shallower route to worship where the worshipper can learn very little of God or His attributes. Learning from this there is more depth in what is communicated here by All Sons and Daughters and it is necessary to tease the information out with repeated listening. 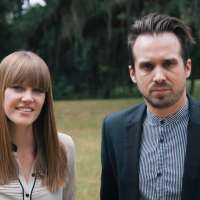 In order to bring these truths out, the duo have tried to use different styles, things that have taken them out of their comfort zones as artists. They have stuck to the lighter spectrum of music and as already mentioned they open with an ambient feeling and they progress about as far as Country. There is nothing that really rocks on this album and it seems much more of a 'slow burn', but it needs to be to get all the goodness out of these songs. However given the slightly slower nature of some of these tracks the second half of the album does get a little bit bogged down. Individually the songs are well written, sung and styled but as a collection it needs something a little stronger musically to lift this. 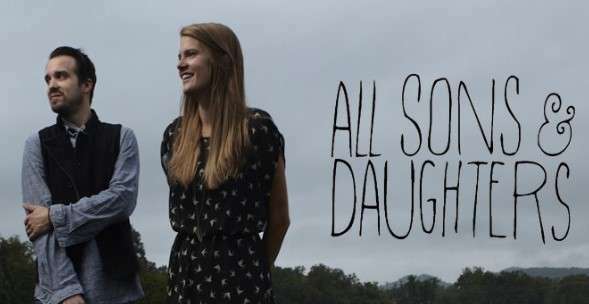 All in all this is a strong album, and something different from many of the worship albums that are on the market. It strays between worship and performance and doesn't really have the one song that is going to take off across the churches, but as a personal worship album it really is worth repeated listens. Some beautiful vocals from both, but Leslie's stand out with a really nice quality and tone breathing life and meaning into songs like "Path of Sorrows" that could fall flat otherwise.